In horses and their close relatives (donkeys and zebras), unusual cells of the placenta invade the mother's womb during early pregnancy. 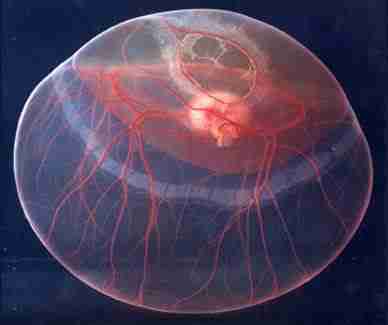 Called endometrial cups for their concave shape, they behave much like cells from metastatic tumors, leaving the placenta and migrating into the uterus, where they secrete copious amounts of the well-known pregnancy hormone, equine Chorionic Gonadotrophin (eCG). Although endometrial cup cells are unique to the horse family, similar invasive cells have been described in the human placenta. 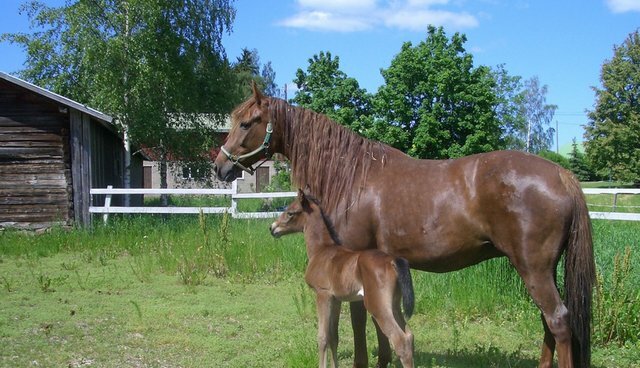 In both humans and horses these invading placental cells interact with the mother's immune system and are thereby thought to contribute to maternal immunological tolerance of the developing fetus. Dr. Douglas Antczak, the Dorothy Havemeyer Mcconville Professor of Equine Medicine, was recently invited to commemorate the 100th anniversary of the discovery of the endometrial cups in the inaugural volume of the Annual Review of Animal Biosciences (Antczak et al., 2013). The paper describes the progression of discoveries in reproduction, evolution, and immunology that followed, as well as future questions that remain to be addressed. In 1979 one of the first Zweig Fund grants was awarded to Dr. Antczak, who had just begun his faculty appointment at Cornell. That project, on maternal immune recognition of pregnancy, began a 35 year collaboration and friendship between Dr. Antczak and Dr. W. R. Allen, whose background came from directing the British Thoroughbred Breeders' Association Equine Fertility Unit in Cambridge, England. In the following years Antczak and Allen and their students and staff discovered how the cells of the placenta, particularly the endometrial cups, control the expression of their histocompatibility genes to avoid destruction by the mother's immune system. They also learned how the mother's immune system is regulated during pregnancy to ensure that deleterious anti-fetal immune reactions are not produced. Finally, the group developed and characterized unique models of pregnancy failure using embryo transfer between horses and donkeys and the use of sterile hybrid mules as embryo recipients. Taken together, these studies have advanced our understanding of how mother, fetus, and placenta communicate and compromise during pregnancy to bring about the miracle of birth.